rubber Guard Side Graphics ! Chip and rubber Guard Side Graphics ! 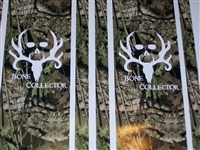 Graphics are 8" tall and 54" long long and fit on any trucks, SUV! 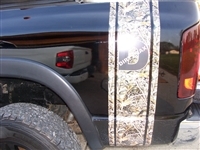 PAIR (2 One for each side) Diamond Plate Flame FULL COLOR Side Graphics ! Stripes are 25" wide at top and narrows to 20" At the bottom and 50"
SUV, Boat or Semi truck~! instructions! 1 tribal Flame real fire FULL COLOR Hood Graphic #1 ! fit on any Large Car, trucks, SUV, Boat or Semi truck~! instructions! 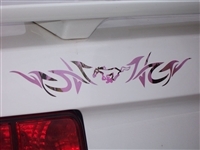 PAIR (2 One for each side) Tribal Mustang Pony FULL COLOR Side Graphics ! CAN ALSO BE USED ON WALLS! large trucks, SUV, Boat Trailer ~! instructions! 1 PAIR (2 One for each side) American Flag FULL COLOR Side Graphics ! Super fast shipping! We ship 6 days a week! 1 PAIR (2 One for each side) Checkered Flag FULL COLOR Side Graphics !